Connecticut is a state close to legalizing sports betting. However, they are also a state with tribal compacts that are designed to keep the local Indian tribes in the loop when it comes to gambling options. Lawmakers attempted to circumvent the tribes by passing a sports betting bill that would get around the compacts, much to the chagrin of the tribes. In response to this move, the tribes are threatening to stop paying out slot revenue to the state if a bill is passed without their approval. The Mohegan and Mashantucket tribes are the ones pushing against any sports betting legalization prospects. That is not to say they are totally against sports gambling in the state, they just merely want it on terms that appease them. Connecticut is not about to let the slot revenue from these tribal casinos slip away. The state receives 25% of their total slot revenue from multiple tribal casinos including Foxwoods Resort Casino and Mohegan Sun. These 2 locations pull in roughly $250 million for the state, meaning that is a significant amount to lose. House Speaker Joe Aresimowicz intimated that there would be talks between state lawmakers and tribe representatives to remedy any disagreements. Connecticut’s main issue boils down to the compacts themselves. Sports wagering is considered a Class III game under federal law and not included as an authorized game in the existing CT tribal-state compacts. This means tribes would not be allowed to conduct sports betting on their premises. The tribes have no exclusive rights over sports betting, which explains why they are playing the slot revenue card to hold the state ransom. There would need to be amendments made to the law in order to support legalized sports betting in a tribal-run gaming establishment. The tribes do have a way into the betting market outside of their slot revenue angle. It depends on how the state plans to implement sports betting into its existing framework. If video kiosks are used to place sports wagers, the tribes have their in. In Connecticut, the Indian tribes have exclusive rights over what is known as video facsimile gaming. Mohegan Attorney General Helga Woods stated that if video kiosks are used, the compacts would automatically be violated and tribes would have no choice but to suspend slot revenue payments until the issue is resolved. If the compacts are voided, the tribes are in some danger as well. A broken compact would bring up the issue of operating slot machines on tribal lands, since they would not be considered legal in the event of a compact void. Basically, this situation could turn ugly for both sides. With everyone’s interests in mind, the most likely scenario sees both state lawmakers and tribal representatives working out the sports betting debacle. It is unlikely they will pass a bill this session, giving more time for both parties to work things out. 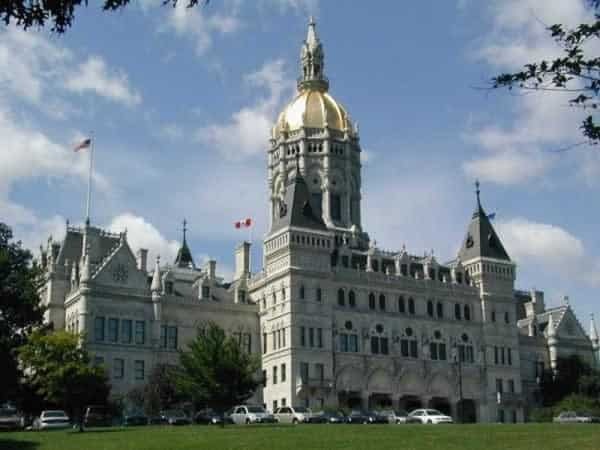 Connecticut poses a huge a potential sports betting market, so expect some type of agreement between these two to be made by the end of the year.